The circular metal spinner key tag is durable, attractive, and functional. Imprint your company’s logo on the tag to enrich your brand’s image. 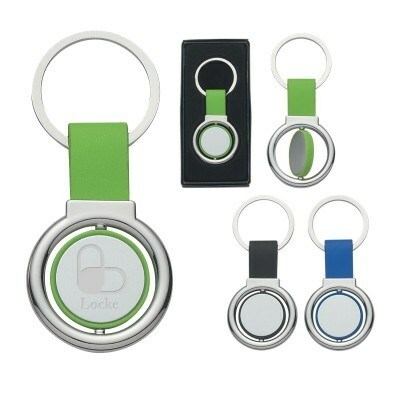 The circular metal spinner key tag is durable, attractive, and functional. Imprint your company’s logo on the tag to enrich your brand’s image. Its simple and durable design makes it easy to store and carry. It is available in silver with red, black, blue, and lime green trims. Customize the metal key tag using laser engraves tone-on-tone to make your brand stand out from your competitors. Give away this cost effective product at upcoming promotional events to rule the advertising arena.